Home > Preparing > Is Litigation the Answer? Litigation is always meant to be the last resort, and the court will not look favourably on you if lodge proceedings against someone as a means of ‘flexing your legal muscles.’ There are two main elements to consider. Firstly, will taking someone to court actually achieve anything? Litigation is not meant to be a means of ‘punishing’ someone, but rather an action that you take in order to put something right. This means you should have suffered some kind of ‘loss’ rather than using litigation as merely a punishment. Secondly, have you been left with no option but to lodge proceedings? The Civil Procedure Rules provide ‘pre-action protocols’ which provide guidance for individuals who are considering litigation against another party. 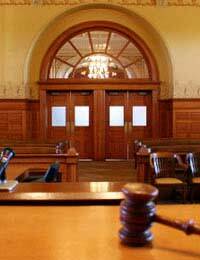 There are specific protocols for different types of legal action. If there is no specific pre-action procedure for your type of claim, you are still expected to follow the general guidance. The following questionnaire encompasses the basic elements that you are expected to have followed prior to lodging proceedings. If in doubt, always ask a legal professional for advice. The following is a useful checklist to help you determine whether it is the right time to lodge proceedings. 1. Is the person you intend to sue aware of the dispute you have with them? If they are aware of the dispute, have they tried to resolve it? 2. Have you tried to resolve the situation in other ways i.e. by telephoning, writing letters, emails, or negotiating in person? 3. Have they made any concessions, offered to try to sort out the situation or suggested a compromise? 6. If the person contacts you by telephone or in person when they receive this letter, try to negotiate a definite period of time within which the problem should be rectified. One technique is to ask them to suggest a resolution, and to repeat it to them to confirm it. If they send a letter back to you, suggesting a resolution, make sure you acknowledge it and either accept or reject the proposals in it. Once the period of time you specified in your ‘last chance’ letter has expired, lodge proceedings in the small claims court. Bear in mind that you will have to pay court fees to lodge proceedings, so you have to factor in this cost before you decide whether it will be worth it. Hi I lent money to my then partner we then separated he refused to pay back any of the Money owed and to cut a long story short I obtained a CCJ at the end of May 18 against him he ignored all correspondence I refereed it to the high Court for enforcement which was granted. He has today informed me that he is counter claiming my claim for various things he paid for in the course of our relationship I too paid for things, can he do this I fail to see that this would be relevant to my original claim, he admits that he owes me the money he was ordered to pay. I feel that he is doing this out of spite as in the course of our relationship he never asked for any money he had paid out to be returned. Your ex can make a counter-claim only if he can prove the 'things' were given as a loan to be paid back by you and they were not a gift. A court will not allow a claim that relates to general money given or shared through the course of a relationship. Hi I lent money to my then partner we then separated he refused to pay back any of the Money owed and to cut along story short I obtained a CCJ at the end of May 18 against him he ignored all correspondence I refereed it to the high Court for enforcement which was granted. He has today informed me that he is counter claiming my claim for various things he paid for in the course of our relationship I too paid for things, can he do this I fail to see that this would be relevant to my original claim, he admits that he owes me the money he was ordered to pay. I feel that he is doing this out of spite as in the course of our relationship he never asked for any money he had paid out to be returned.